Fourscore and seven years ago, Erwin Schrödinger invented wave-functions as a way to describe the behavior of atoms and other small objects. According to the rules of quantum mechanics, the motions of objects are unpredictable. The wave-function tells us only the probabilities of the possible motions. When an object is observed, the observer sees where it is, and the uncertainty of the motion disappears. Knowledge removes uncertainty. There is no mystery here. Unfortunately, people writing about quantum mechanics often use the phrase "collapse of the wave-function" to describe what happens when an object is observed. This phrase gives a misleading idea that the wave-function itself is a physical object. A physical object can collapse when it bumps into an obstacle. But a wave-function cannot be a physical object. A wave-function is a description of a probability, and a probability is a statement of ignorance. Ignorance is not a physical object, and neither is a wave-function. When new knowledge displaces ignorance, the wave-function does not collapse; it merely becomes irrelevant. Dyson was a genius, but this is nonsense. Observing an electron does not just remove uncertainty; it alters the electron. The wave-function may not be a physical object, but it still collapses. Dyson says that it does not collapse, but becomes irrelevant and is replaced with a new wave-function. That is what collapse means -- the old wave-function is projected to a subspace based on the observation. I thought that he was going to advocate the many worlds interpretation (MWI), as those are the main one who argue against collapse of the wave-function. They argue that the collapsing part of the wave-function is really escaping to a parallel universe. The argument is based on a belief that wave-function uncertainty should be some sort of conserved quantity like energy, so they postulate a vast collection of unobservable alternate universes. Dyson is botching up an explanation of conventional quantum mechanics. I guess that is better than advocating some completely unscientific multiverse idea. Quantum jumps are an instance of what used to be called "action at a distance": something at one location having an effect, not mediated by anything physical, at another location. Newton called this "so great an Absurdity that I believe no Man who has in philosophical Matters a competent Faculty of thinking can ever fall into it". And the error has analogues in fields quite distant from classical and quantum physics. For example in political philosophy the "quantum jump" is called revolution, and the absurd error is that progress can be made by violently sweeping away existing political institutions and starting from scratch. In the philosophy of science it is Thomas Kuhn's idea that science proceeds via revolutions—i.e. victories of one faction over another, both of which are unable to alter their respective "paradigms" rationally. In biology the "quantum jump" is called saltation: the appearance of a new adaptation from one generation to the next, and the absurd error is called saltationism. Deutsch is right about this, as expressed in my motto. 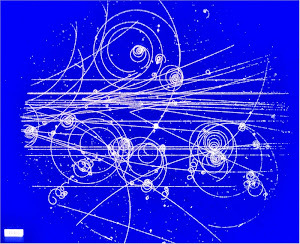 It is not exaggerated to claim that one of the major divides in the foundations of non-relativistic quantum mechanics derives from the way physicists and philosophers understand the status of the wave function. 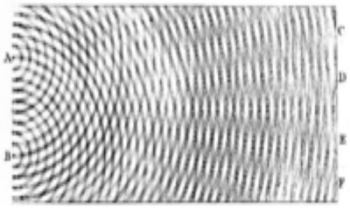 On the instrumentalist side of the camp, the wave function is regarded as a mere instrument to calculate probabilities that have been established by previous measurement outcomes.1 On the other “realistic” camp, the wave function is regarded as a new physical entity or a physical field of some sort. That's right, those are the two main views. Both are tenable, I guess, but you should be suspicious of anyone who makes strong claims based on the reality of the wave function, without recognizing the other view. I have no idea why Dyson would say this. It goes against everything I know about QM. The only reason he went along with it is that anyone who disagrees with this 'interpretation' has been lambasted by the mainstream mathematics community that often does not even understand it themselves, as surveys of mathematicians and physicists have indicated multiple time there is no real consensus of what QM is actually doing on a physical level. Since Dyson has been quite successful without taking 'Copenhagen' as gospel, I'm not sure how a point can be made that he is wrong. No one should be surprised if an 'interpretation' turns out to be wrong. Probability is nothing but a second hand calculation. The very concept of probability depends on other values to be present even before it can be calculated, so it can't possibly be the cause of anything happening. Second hand calculations are not primal causes. It also is not reality any more than an 'average' is an actual person of some kind. Electrons obviously interact all the time with or without your observation, and matter and energy interacts with it as well without man made abstractions informing it's activity. Whether you know where the planets are at a given moment does not matter, they are still there in their orbits moving the way they do with or without your calculation (thank goodness!). Probability is a second hand mathematical calculation modeled to 'resemble' only the outcome of some activity. It is not by any means a valid description of the process of individual small elements of a greater process or actuality, just as the 'class average' is not a person who exists or is in actually in the class at all, just a mathematical calculation used as a reference point in relation to the rest of the entire class. I agree that probability is a second-hand calculation tool, and not a primal cause of anything.